I had to think about and look at my fabrics and google images to decide which was which. 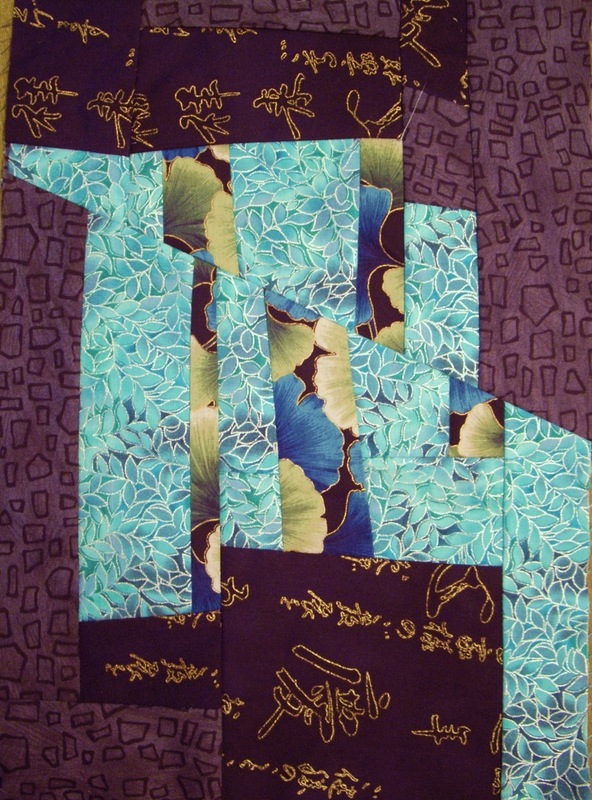 Then I decided that a little turquoise really went well with black, gray, and aqua. I strayed from my formula of making a frame of the target color but I think this still will look okay with the other blocks. I am out of town, but will post a picture when we get back of all the blocks together. In the beginning I was afraid there would be too many mellows, but now the brights seem to be taking over!! Your aqua really sparkles against those deep neutrals! I am finding the same thing: aqua & turquoise and cyan all sort of blend together. They seem to love the deep purple and dark neutrals of this block. Beautiful fabrics! I am looking forward to seeing them all together. I am going to have to do quite a bit of catch up. 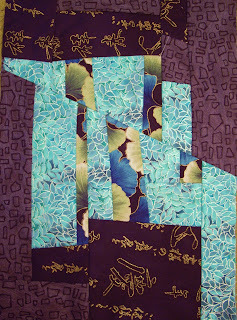 I have just about decided to make new blocks with all the colors that I can make into a small quilt.